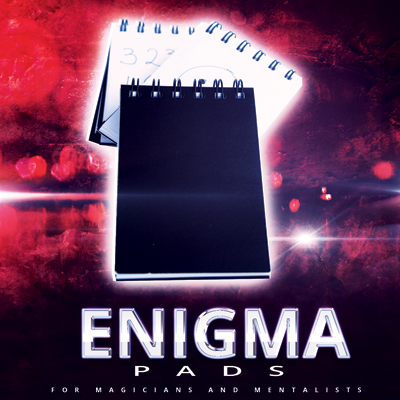 The Enigma Pad is small enough to keep in your pocket so you can take it everywhere you go. From each pad you will get at least 50 performances. Two Custom Enigma Pads are included giving you more than 100 performances. Paul shares several ideas and routines from his personal "Which Hand" routine , an easy routine with a 100% success rate!!! Also, Paul will expose his inner working on how to use the Engima Pad for a book test using a REGULAR BORROWED BOOK. THREE pads are included for a LIMITED TIME giving you more than 150 performances. "Finally an add-a-number pad that looks like a regular pad and requires no thinking or fumbling to use."